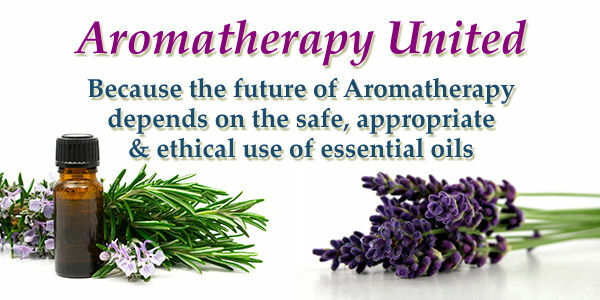 Aromatherapy United is collecting names for a formal complaint we will submit to the FDA & the FTC. Our Mission is to protect essential oils from being characterized as "New Drugs" as the result of false medical claims being made by Young Living Essential Oils, dōTERRA and their distributors/salespeople. These unfounded claims for the medicinal use of essential oils are dangerous and not backed by medical science. The future of Aromatherapy depends upon the industry being self-regulated. Our freedom to use essential oils depends upon them not being regulated as drugs. These companies and their medical claims put the future of Aromatherapy at risk. The time to act is now, while the essential oil and Aromatherapy industry still has the ability to self-regulate. The future should be in our hands...not those of the FDA or the FTC. But only by using the law to our advantage can we stop the illegal and unsafe sale of essential oils and protect the future of Aromatherapy. We the undersigned are filing a complaint with the FDA against Young Living Essential Oils, dōTERRA and all of their distributors/salespeople who are selling their brands of essential oils and cosmetic products as "new drugs", as defined by the Federal Food, Drug, and Cosmetic Act (FD&C Act) SEC. 201. [21 U.S.C. 321]. According to information on their websites, dōTERRA and Young Living Essential Oils and their distributors/salespeople are selling essential oils in such a manner that their brands of essential oils and essential oil products are intended to prevent, treat, or cure disease conditions or to affect the structure or function of the body. Statements on their websites and Facebook business pages that document these intended uses, include recommending essential oils as medical treatments internally, topically and via inhalation for Cancer, Hemophilia, Colds & Flu, Multiple Sclerosis, Hypothyroid, as Sunscreens and more. Young Living Essential Oils and dōTERRA and their distributors/salespeople, named and unnamed in our complaint, are selling and marketing products for conditions that are not amenable to self-diagnosis and treatment by individuals who are not medical practitioners. The EXHIBITS referenced in this complaint are not intended to be an all-inclusive statement of violations that exist in connection with these companies and their products, but represent a small sampling for the purpose of initiating a formal complaint. Some examples of these violations are documented on the AromatherapyUnited.org website. We the undersigned are also filing a complaint with the FTC against Young Living Essential Oils, dōTERRA and all of their distributors/salespeople. The companies dōTERRA, Young Living Essential Oils and their distributors/salespeople make claims and usage recommendations for essential oils which are unlawful under the Federal Trade Commission Act (15 U.S.C. §§ 41-58, as amended): "to advertise that a product can prevent, treat, or cure human disease unless you possess competent and reliable scientific evidence, including, when appropriate, well-controlled human clinical studies, substantiating that the claims are true at the time they are made." The claims for their brands of essential oils are exaggerated, directly and indirectly, through the use of product names, consumer testimonials and medical claims, without rigorous scientific evidence sufficient to substantiate the claims, which violates the FTC Act. We are united in our support for the safe, appropriate and ethical use of essential oils, because the future of Aromatherapy depends upon it. We are united in our concern that the continued sales and marketing of essential oils as drugs by these two companies and their distributors/salespeople is putting consumers and the future of the Aromatherapy industry at risk.